Produced for indoor bike training, Rides provides an inspirational and motivational workout set to a groovin' soundtrack. 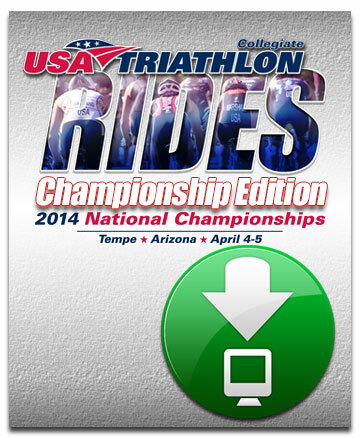 It is a one of a kind training series that will significantly enhance your indoor cycling experience. Build your own ultimate RIDES combo pack and save up to 29%. Select any or all of the RIDES collection and transform your training sessions into virtual group rides! 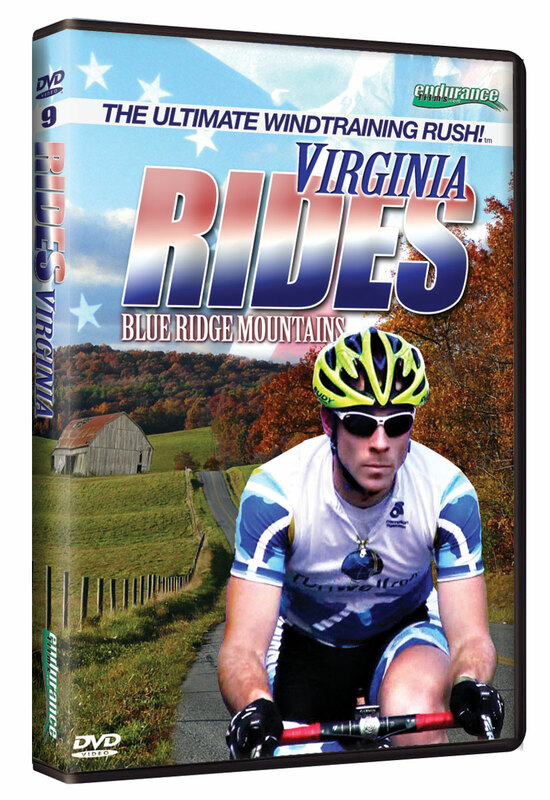 NEW RELEASE - Virginia - The birthplace of the nation...and a great place to ride! Join us on an epic ride through the majestic Blue Ridge Mountains. NOW SHIPPING- The ultimate virtual indoor cycling series heads east for the epic Assault on Bear Mountain. Get your copy today! 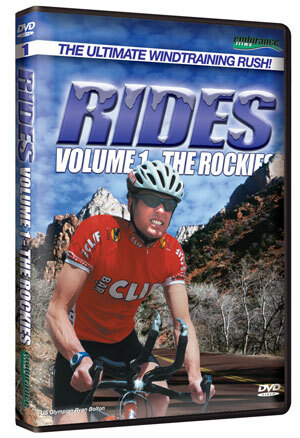 NOW SHIPPING - The ultimate indoor cycling training series hits the hills! Pedal just along the border of Kentucky and Indiana with one of the best cycling teams in the region. Following the famed Carrboro Classic Duathlon course...you'll join six of North Carolina's top cyclists and triathletes on a ride through the rolling hills of the NC Piedmont. Climb in and out of the saddle and work on your steady efforts at threshold as the tempo intervals grow progressively longer, building your strength for time trialing. Finish at Maple View Dairy's country store for a virtual ice cream cone! The ultimate windtraining rush is back! This time, it's So Cal cycling at it's best. Join top riders in the area as they ride through the majestic foothills and climbs of Saddleback Valley in Orange County, CA. This training ride is famous among professional riders, recreational riders and highlights some of the more popular group rides in Southern California. Join some of the best riders in the world on a 1-hour training ride in the beautiful Rocky Mountains of Colorado. Improve fundamental cycling techniques, increase overall riding strength, and significantly enhance the indoor training experience.